Owning a pool is an Aussie dream, but as we becoming increasingly aware of climate challenges, many of us are looking for ways to reduce our impact on the earth. 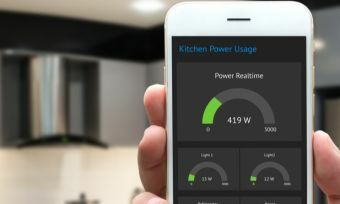 Lower power bills – Even though equipment represents a hefty initial investment, it could save you a lot of money in the future. Reduce energy and water usage – Not only that you are saving money, you are also making an environmentally sound decision. Making your pool eco-friendly can be as simple as adjusting your maintenance habits. You can also purchase special products that reduce energy and heating costs. Let’s start with effective use of the pump. First of all, you can purchase a smaller pump which will work for fewer hours. Buying a smaller pump should instantly and significantly lower your costs. Nowadays, pumps come in different speeds. With them, you can increase or decrease the speed based on your needs. Additionally you can purchase timers for both pump and the heater. This way, you won’t have to control them all the time which means that you will get optimal balance between usage and savings. These new, eco-friendly pumps are also able to move water more efficiently which will result in even more money in your pocket. Solar covers are the next big thing on our list. These specialised pool covers are also known as “solar blankets” or “blankets”. Similarly to standard pool covers, they are meant to protect the pool from any debris which may fall in it. However, they have another important function which makes them eco-friendly: they are able to heat the water. As a result, solar blankets will reduce your heating costs, water costs as well as the amount of chemicals that you have to use. Simultaneously, they can prolong your swimming season. Besides solar blankets, there are other methods to help increase and maintain a certain temperature of the pool. Before anything else, make sure to position your pool in the part of the yard that has the most sunlight. Protect it from the wind as this can have quite a negative impact on the temperature of the water. Naturally, all of this will reduce your pool heating costs. Like with anything else, many of us are not that keen on doing scheduled maintenance. Similarly to a car or some other home appliances, we perform maintenance only when there is something wrong. However, this is a completely wrong mindset. Pools require a lot of care and dedication. For optimal results and savings, you will have to do certain things on daily basis. Make sure to switch off heating when you don’t plan to use the pool. Backwash your filter regularly. This way you will reduce water and energy usage. Draining system also has to be cleared. This will allow for water to circulate normally. When it comes to lights, you should purchase either LED or solar powered ones. Here is a quick rundown to help you maintain your pool properly and make it eco-friendly. Garages, hedges and other obstacles can help you shelter your pool preventing heat loss. Pool heater and pump should be turned off whenever it’s possible (especially if you plan on not using the pool for a period of time). Those who use their pool during one part of the week should reduce their heater settings for a couple of degrees during off days. Do not heat your pool above the necessary threshold. High temperatures can be very bad for your health and for your pocket. Do everything in your power to prevent accumulation of dust, debris and other materials. They will clog drains affecting the pump in the process. Use pool filtration system during the hours when the electricity is cheap. You shouldn’t circulate water through a filter more than once per day. If you are ready to follow these tips and get the necessary equipment, you are one step closer to making your pool eco-friendly. By doing so, you will protect your environment and save some money.